Erin Stoffregen studied architecture in college, to pursue her creative passions. But during her high school and college years, she also found a creative outlet in the event floral business, working with Debra Quillen, founder of Event Floral, 8181 Starwood Dr., Loves Park, Ill. Quillen, who launched her business in 2003, mentored Stoffregen who, after returning home with a degree in business management, was given greater and greater managerial and sales responsibilities. It was only natural that, in January 2014, Stoffregen purchased the event floral business after Quillen decided to fulfill her succession plan. Going through the succession planning process with Quillen was invaluable. “If I had stepped in without those five years, I wouldn’t have known some of the tricks of the trade,” she says. Event Floral provides memorable backdrops to weddings, corporate events, showers, fundraisers, funerals and special birthday parties by using fresh flowers, table linens, chair covers, arches, prop pieces, candelabras, charger plates, draperies and ceiling treatments. During peak wedding season, May through October, Stoffregen employs additional staff for a team of up to 15. During the off season, her core group of six runs the show, including three lead designers and two setup leads. 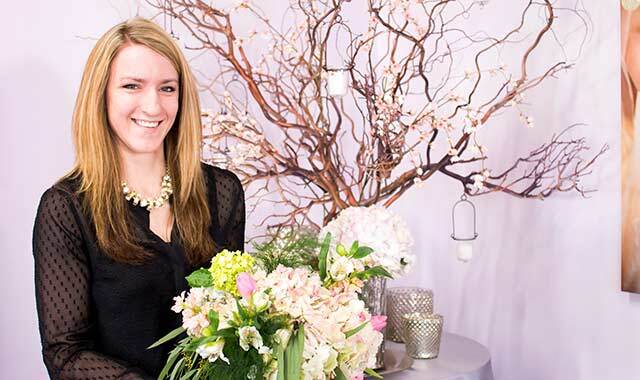 Stoffregen is creative director and specializes in handheld ceremonial bridal bouquets. Event Floral team members routinely manage multiple events on weekends. They might juggle as many as nine weddings between Friday and Sunday. Or, the transformation of a large-scale, formal fundraising dinner space, with linens, ceiling treatments and floral creations, may require their focus for an entire weekend. Stoffregen says weddings are always near and dear to her heart because they’re so meaningful to clients. Stoffregen herself recently married, and understands the needs of modern brides. Her wedding reception, held in August 2010 at the Pavilion at Orchard Ridge Farms in Rockton, Ill., was patterned on a late-summer theme. Inside the glass-enclosed room overlooking the pond, Stoffregen stationed her favorite pink flowers, candles, crystals and branch centerpieces. The wedding table was placed in front of a dramatic stone fireplace. Many couples emphasize seasonality in their wedding decor. Event Floral accommodates by bringing in items such as fresh evergreen trees to create a woodsy winter setting, or hay bales with planters of mums and fall foliage. Event Floral decorates for weddings at many venues, including Prairie Street Brewhouse, Franchesco’s Ristorante, Dry Creek Estates, Anderson Japanese Gardens and local country clubs. Today’s design trends include flowers in sophisticated palettes of whites, creams and champagnes, mixed with mints, blushes and greys. For a touch of glamour, these neutral colors often are mixed with metal or crystal elements, such as charger plates, metallic candleholders and flower stands. The business is growing rapidly. As the economy continues to improve, Stoffregen has noticed that organizations are spending more money on their employee and fundraising events. “Rather than cutting costs by foregoing table decorations, they might budget more to create a cool and unique event that rewards their employees or inspires fundraising donations,” she says. To help her business incorporate the “wow factor,” Stoffregen’s team watches trends by following the blog sites of industry leaders like Preston Bailey and Colin Cowie, and by reading trade magazines. They also monitor related industries such as fashion, home decor and interior design. “Awards shows are a great source for trending styles,” she says. Event Floral operates in a business park near Aviators Stadium, and is open by appointment. Its space is also used for large-scale production and inventory displays. Naturally, Stoffregen’s marketing includes displays at area bridal shows. Weddings are not exactly an ideal source for repeat business. “Ideally, a wedding is a once-in-a-lifetime event,” she says. But her customers might return when it’s time for that anniversary celebration, baby shower or special birthday party. They also might talk about their experiences with future brides. Stoffregen also promotes her business through relationships with related vendors, such as event planners, photographers, DJs and bakers, who might offer recommendations. Stoffregen has learned a lot from running a business. “I’m amazed at the amount of work done on the back end, and by how many hours it can take to prepare something like a proposal,” she says. “You may not appear busy when you’re not in production, but you’re busy behind the scenes. She’s also learned that most business mistakes come back to the common theme of communication. Stoffregen is the mother of two young children, so running a business and raising a family successfully is a real balancing act. 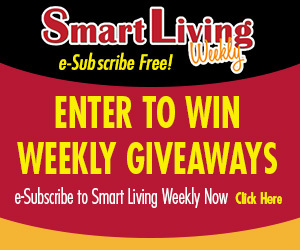 This entry was posted on Thursday, June 18th, 2015 at 11:55 am	and is filed under Northwest Business Magazine. You can follow any responses to this entry through the RSS 2.0 feed. Both comments and pings are currently closed.